OpenAPI Explorer allows you to call an API through its web interface or WebCLI, and view the entire process. OpenAPI Explorer allows you to call APIs through its web interface or WebCLI, and view the entire process of the API calls. You can use this service to quickly search APIs of cloud services and APIs in the marketplace, call these APIs, and view the API request and response in each call. OpenAPI Explorer can automatically generate SDK demo code based on the customized request parameters. OpenAPI Explorer is a ready-for-use service that is free of charge. 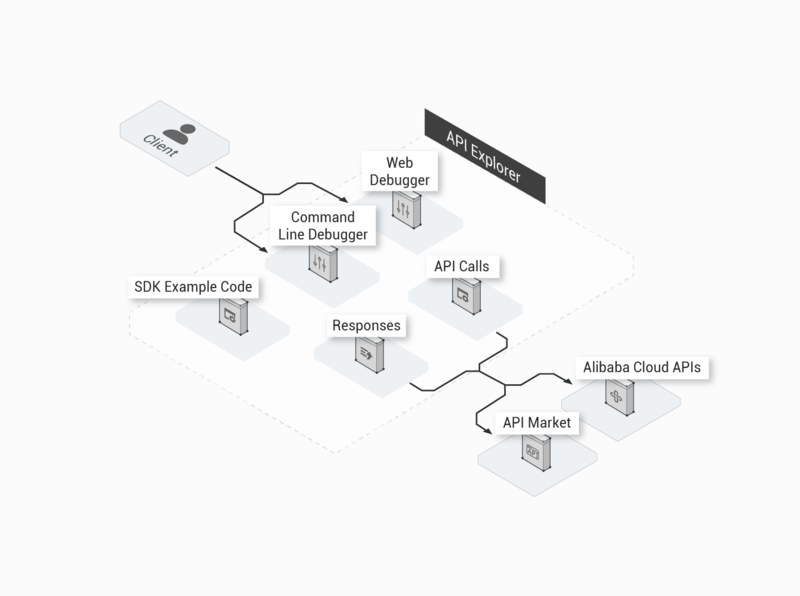 You can call APIs of Alibaba Cloud services without any prior code required. Allows you to quickly search APIs of cloud services and APIs in the API marketplace. You can choose to call an API through the OpenAPI Explorer web interface or WebCLI. OpenAPI Explorer will automatically generate the corresponding SDK demos to meet your development needs. Allows you to view the corresponding API request, response, and time consumption when calling an API. Allows you to search APIs of cloud services and APIs in the API marketplace. You can search APIs of cloud services and APIs in the API marketplace by service name or API name. You can call APIs through the web interface or WebCLI of OpenAPI Explorer. You can call APIs by configuring request parameters on the OpenAPI Explorer web interface and view the corresponding API request, response, and time consumption that have been output to a web page. The OpenAPI Explorer WebCLI allows you to use command lines to call APIs in the same way as a Linux environment. OpenAPI Explorer automatically generates SDK demos of multiple programming languages based on the API request parameters that you have set. Automatically generates SDK demos based on the API request parameters that you have set. You can debug these SDK demos in your development environment. 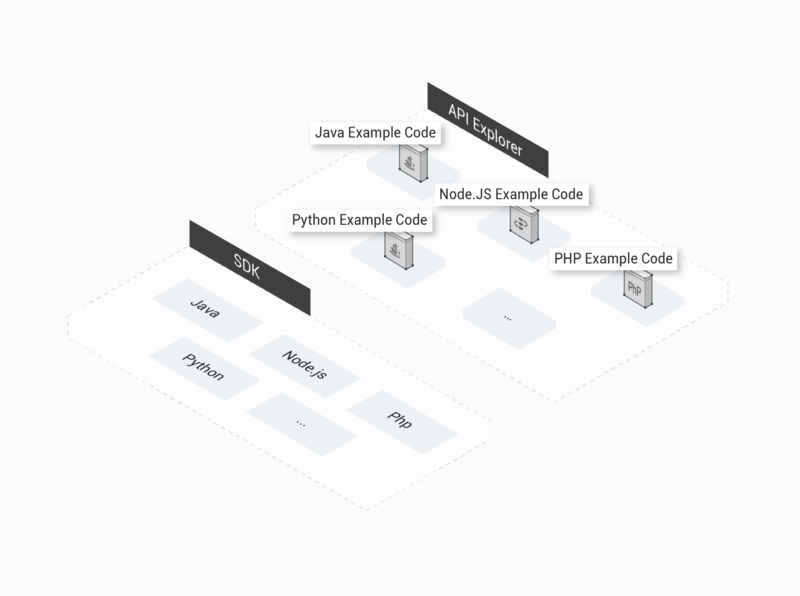 OpenAPI Explorer can generate SDK demos that support multiple programming languages, including Java, Node.JS, PHP, and Python. When developing APIs in Alibaba Cloud, you may need to verify the API request methods and view the responses. OpenAPI Explorer allows you to call and debug APIs through its web interface or WebCLI, and view the API responses. It also provides solutions to resolve API call errors. Provides visualized user interfaces that allow you to view the entire process of API calls. When an API call error occurs, OpenAPI Explorer displays an error message to help you precisely locate the cause. It also provides solutions to handle API call errors. Allows you to quickly search APIs of cloud services. OpenAPI Explorer automatically generates Java, PHP, Python, or Node.JS sample code based on the API request parameters that you have set to help you develop applications. Generates SDK demos based on the request parameters that you have set to assist your application development. You can directly copy SDK demos to your development environment and use these demos to guide you through the process of using these SDKs. Call and debug APIs through the OpenAPI Explorer web interface. Call APIs through the OpenAPI Explorer WebCLI. View the SDK demo code. Scenarios that OpenAPI Explorer can be applied to.